B.A. (Brock), LL.B. (McGill), LL.M. (U. Calif., Berkeley), Ph. D. (Dalhousie), of the Nova Scotia Bar. 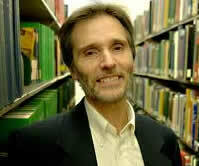 Philip Girard is a professor at Osgoode Hall Law School, York University. From 1984 until 2013 he was a Professor of Law, History and Canadian Studies, and University Research Professor at Dalhousie University. He is also Associate Editor of the Osgoode Society for Canadian Legal History. He was law clerk to Mr. Justice W.Z. Estey of the Supreme Court of Canada (1979-1980) and taught at the University of Western Ontario Faculty of Law before joining Dalhousie University in 1984. He has made a significant contribution to Canadian legal history, publishing two books and numerous articles on the history of the legal profession, of legal culture, of legal education, of Chancery, of the courts and of judges. He has also co-edited two volumes for the Osgoode Society for Canadian Legal History, including, with Jim Phillips and Barry Cahill, a history of Canada’s oldest surviving common law court, the Supreme Court of Nova Scotia. 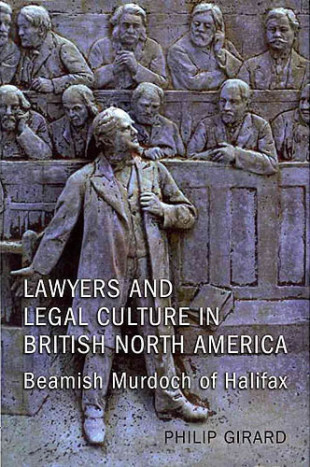 In 2011 he was awarded the Canadian Historical Society’s Clio Atlantic Award for best book published on the history of Atlantic Canada for his book, Lawyers and Legal Culture in British North America: Beamish Murdoch of Halifax and in 2006, his book Bora Laskin: Bringing Law to Life won The Champlain Society’s Floyd S. Chalmers Award for best book published on Ontario history in the previous year. He was the winner of the Hanna and Harold Barnett Prize for Excellence in First Year Teaching in 2002. He is the first Canadian Honorary Fellow of the American Society for Legal History. 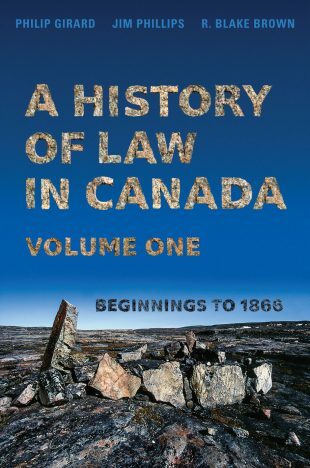 A History of Law in Canada Volume I: Beginnings-1866 (Toronto: The Osgoode Society and University of Toronto Press, forthcoming 2018). (with Jim Phillips and Blake Brown). 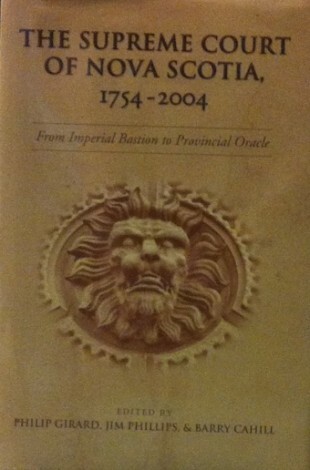 The Supreme Court of Nova Scotia 1754-2004: From Imperial Bastion to Provincial Oracle (Toronto: The Osgoode Society and University of Toronto Press, 2004), 515 pp. (editor with Jim Phillips and J. Barry Cahill). ‘A Certain Maillaise: Harrison v. Carswell, Shopping Centre Picketing and the Limits of the Postwar Settlement’ in Judy Fudge and Eric Tucker, Work on Trial: Canadian Labour Law Struggles (Toronto: The Osgoode Society and Irwin Law, 2010), pp. 241-280 (with Jim Phillips). ‘Courts, Communities and Communications: the Nova Scotia Supreme Court on Circuit, 1816 – 1850’ in Hamar Foster, Ben Berger, and Andrew Buck, eds., The Grand Experiment: Law & Legal Culture in British Settler Societies (Vancouver: The Osgoode Society and University of British Columbia Press, 2008, pp. 117-134 (with Jim Phillips). 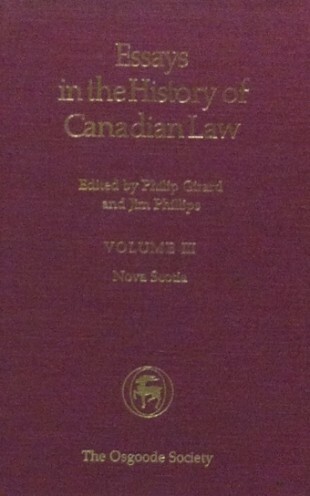 “Introduction,” in Philip Girard, Jim Phillips and J. Barry Cahill, eds., The Supreme Court of Nova Scotia 1754-2004: From Imperial Bastion to Provincial Oracle (Toronto: The Osgoode Society and University of Toronto Press, 2004), pp. 3 – 12 (with Jim Phillips). ‘Rethinking the “Nation” in National Legal History: A Canadian Perspective’ Law and History Review, Vol 29, 2011, pp. 607-626 (with Jim Phillips). ‘Liberty, Order, and Pluralism: the Canadian Experience’ in Jack P. Greene, ed., Exclusionary Empire: English Liberty Overseas, 1600 to 1900 (New York: Cambridge University Press, 2009), pp. ‘Stratification, Economic Adversity, and Diversity in an Urban Bar: Halifax, Nova Scotia, 1900-1950’ in Constance Backhouse and W. Wesley Pue, eds., The Promise and Perils of Law: Canadian Lawyers in History (Toronto: Irwin Law, 2009), pp. 75-102 (with Jeffrey Haylock). ‘British Justice, English Law, and Canadian Legal Culture’ in Phillip Buckner, ed., Canada and the British Empire (Toronto (? ): Oxford University Press, 2008), pp. ‘Who’s Afraid of Canadian Legal History’ University of Toronto Law Journal, Vol 57, 2007, pp. 727-753. ‘”I will not pin my faith to his sleeve”: Beamish Murdoch, Joseph Howe, and Responsible Government Revisited’ Journal of the Royal Nova Scotia Historical Society, Vol 4, 2001, pp. 1-24. ‘Victorian Philanthropy and Child Rescue: the Career of Emma Stirling in Scotland and Nova Scotia, 1860-95’ in Marjory Harper and Michael E. Vance, eds., Myth, Migration and the Making of Memory: Scotia and Nova Scotia c. 1700-1990 (Halifax and Edinburgh: Fernwood, 1999). ‘The Maritime Provinces, 1850-1939: Lawyers and Legal Institutions’ Manitoba Law Journal, Vol 23, 1996, pp. 380-405. ‘Married Women’s Property in Nova Scotia, 1850-1910’ in Janet Guildford and Suzanne Morton, eds., Separate Spheres: Woman’s Worlds in the 19th Century Maritimes (Fredericton: Acadiensis Press, 1994), pp. (with Rebecca Veinott). ‘The Roots of a Professional Renaissance: Lawyers in Nova Scotia 1850-1910’ Manitoba Law Journal, Vol 20, 1991, pp. 148- ; also appeared in Dale Gibson and W.W. Pue, eds., Glimpses of Canadian Legal History (Winnipeg: Legal Research Institute, 1992). ‘Married Women’s Property Law, Chancery Abolition, and Insolvency Law: Law Reform in Nova Scotia, 1820-1867’ in Philip Girard and Jim Phillips, eds., Essays in the History of Canadian Law: Volume Three – Nova Scotia (Toronto: The Osgoode Society and University of Toronto Press, 1990, pp. ‘Some Preliminary Observations on the Rise and Fall of Urban Justice in Halifax’ Nova Scotia Historical Review, Vol 8, 1988, pp. 57-71. ‘From Subversion to Liberation: Homosexuals and the Immigration Act 1952-1977’ Canadian Journal of Law and Society, Vol 2, 1987, pp. 1-27. ‘”His life was one continual warfare”: John Thomas Bulmer, Lawyer, Librarian and Social Reformer’ Dalhousie Law Journal, Vol 12, 1990, pp. 376-405.